29 Oct 2018 – That liberalism owes something to totalitarianism would strike most people today as counter-intuitive, if not preposterous. How could a political belief system so dedicated to the protection of individual rights be indebted to its very opposite? Yet it is largely due to the threat of totalitarianism that we even speak of an Anglo-American liberal tradition and that we emphasize individual rights to the degree that we do. We tend to think of liberalism as having roots that lie deep in English history. Some locate its origins as far back as the Magna Carta of 1215; others point to the ideas of John Locke in the 17th century. From there, liberalism is said to have slowly gained traction until it was brought to America, where the Founding Fathers enshrined its principles in the Declaration of Independence and Constitution. It’s a nice story, but the truth is quite different. The word “liberalism” did not even exist until the early 19th century, when it was invented to encapsulate the principles of the French Revolution. Toward the end of the 19th century, liberalism was then reconfigured with the aid of German ideas. “Liberalism,” as a word and concept, only came to America in the 1910s. It was around this time that the word entered the American political lexicon and it was to this “socialistic” brand of liberalism that it referred. According to the notable political commentator, Walter Lippmann, the word came into common usage thanks to a group of reformers who were Republican Progressives in 1912 and Wilsonian Democrats from around 1916. It was then disseminated by the flagship progressive magazine The New Republic. Herbert Croly, the magazine’s co-founder and editor, began calling his ideas “liberal” around 1914, and by mid-1916 the term was often used in the magazine. It is notable that President Woodrow Wilson called himself a “progressive” in 1916 and a “liberal” in 1917. Catholic and Protestant arguments overlapped in significant ways. When you banished God from the world, these Christian theorists said, every foundation of morality was undermined. The loss of faith in God leads to a moral relativism that makes people vulnerable to demagogues and dictators. “Totalitarianism,” a phenomenon these theorists were among the first to analyze, was the result of the liberal disenchantment with the world. Knowingly or unknowingly, these Christian theorists repeated an old accusation: liberal secularism was to blame for the ills of Western civilization. By attacking religion, liberals had brought the catastrophe of Totalitarianism on themselves. Niebuhr placed much blame on “liberal Protestantism,” that undogmatic religious movement whose roots stretched back to the early 18th century and became particularly influential in the early 20th. In an article titled “Let the Liberal Churches Stop Fooling Themselves!” Niebuhr chastised their optimism and idealism, claiming that they had helped cause the rise of totalitarianism. Liberal Protestantism projected a dangerously naïve and utopian idea of human goodness and educability. Men were not naturally good, Niebuhr insisted, but sinful, irrational, violent and selfish. Without recognizing that fact, no moral society was possible. Totalitarianism lurked around the corner. By his Christmas Message in 1945, Pope Pius XII had also made his position clear. He repeated, in an updated form, the age-old and frequently reiterated Catholic condemnation of religious and political liberalism. Simply stated, liberals had banished God from the world and had thus given rise to totalitarianism. Liberalism’s destructive force, Pius declared, had brought only brutality, barbarity, and ruin. Catholic propagandists spread this message. Jonathan Hallowell’s book, The Decline of Liberalism (1946), warned that the spiritual crisis out of which totalitarianism emerged was a crisis peculiar not to Germany, but to all of Western civilization. Liberalism, with its rejection of transcendent truth, was to blame. In The Rise and Decline of Liberalism (1953), Thomas Neill underlined the point. Since it destroyed all spiritual values, “the logic of liberalism” was that it led straight to totalitarianism. Some years later, in 1964, yet another anti-communist Catholic crusader, James Burnham, called liberalism the “ideology of Western suicide,” since it was infected with communism. Influential émigrés to the United States from Nazi Germany concurred with this damning appraisal of liberalism. Hannah Arendt, the German Jewish political philosopher and friend of Gurian, who would later pen the now-famous Origins of Totalitarianism (1951), wrote that liberalism was the “spawn of hell.” For the German Catholic émigré Eric Voegelin, communism was only the radical expression of liberalism. By supplanting the “truth of the soul” and promoting the disenchantment of the world, liberalism was in large part responsible for the self-destructive politics of the West. Leo Strauss, another German Jewish émigré accused what he took to be liberal relativism of opening the door to nihilism and totalitarianism. Liberals and totalitarians, he thought, had much in common. This purported association with totalitarianism had an enduring influence on liberalism. Thrown on the defensive, liberals clamored to distinguish themselves from socialists and communists. They emphasized their commitment to the protection of “individual rights” like never before. 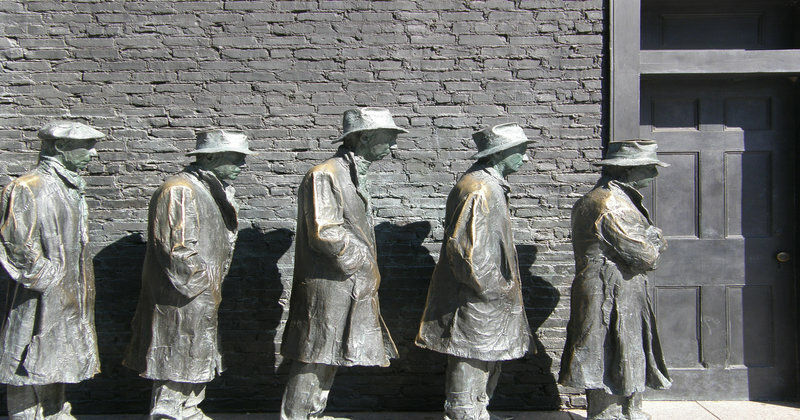 They toned down their plans for government-led social reconstruction. And they invented an “Anglo-American liberal tradition” that stressed property rights to an unprecedented degree. John Locke, virtually ignored by liberals before, became a founding father of the liberal tradition. 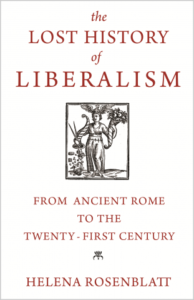 From The Lost History of Liberalism: From Ancient Rome to the Twenty-First Century. Used with the permission of Princeton University Press. Copyright © 2018 by Helena Rosenblatt.